Suburbs where sign sites are needed: Kingston, Taroona, Mt Nelson and Sandy Bay. As an Independent Candidate I do not have financial support from any political party or business. I am largely self-funded with my wife Kate and I saving money to fund the campaign. Any donation you are able to make to assist would be much appreciated. Please note - I have previously suggested as part of the review of the Electoral Act that political parties should be required to disclose, in real time, donors who contribute $1,000 or more to an election campaign. This is an important transparency mechanism that Tasmania needs to embrace to enhance confidence in our democratic process. To ensure I apply the same standard to myself I will disclose on my website the name of any donor who provides $1,000 or more to my campaign. This will be done within 24 hours and will be calculated cumulatively. Please like and follow my social media. You will find links at the top of this page. Then, if you see a Facebook post or tweet that you particularly like, please share with your friends. 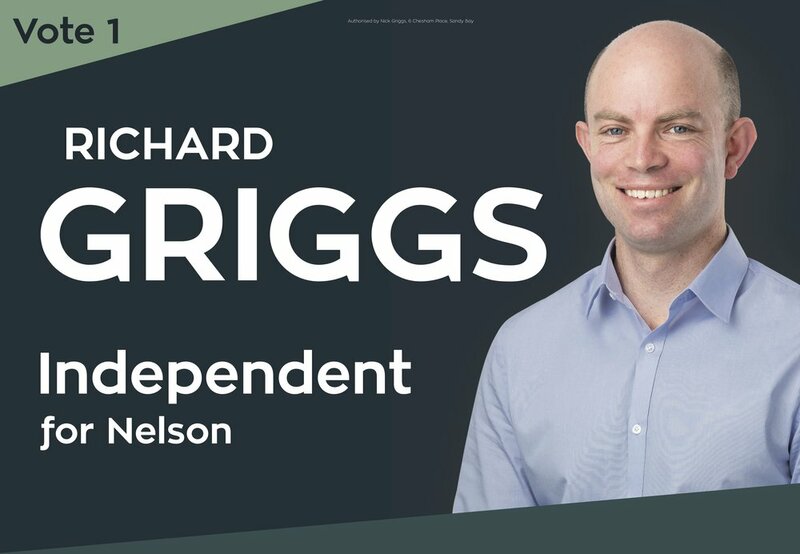 If none of the above options are suitable for you but you would still like to help, there is lots more to be done including letterboxing, doorknocking with Richard, organising a meet and greet opportunity for Richard to meet your friends, neighbours or colleagues. Please contact Richard for further details.